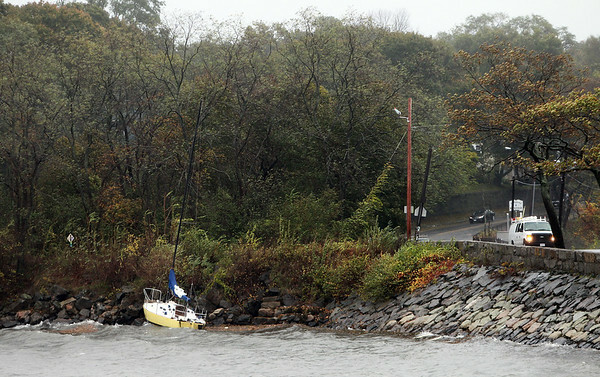 A boat got washed up onto the rocks in Salem Harbor near the Marblehead-Salem line during the storm that started late Wednesday and lasted well into Thursday. DAVID LE/Staff photo. 10/23/14.